My sister and I quickly went to work in “the man cave” or what my husband likes to call, “the shop.” He had a vise that we used that held each baseball securely in place while we worked. 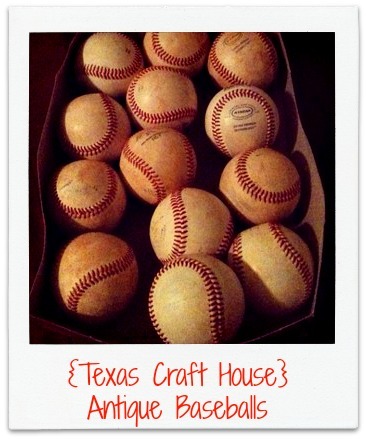 We carefully (the antique baseballs are made with straw and WILL smoke if you work too fast – we know from experience!) drilled holes in each baseball using a 1/8th inch drill bit. We ended up using 12 baseballs total. Then we went through my closet and found a wire hanger that we molded into a circle then strung the baseballs through. Here is what the wreath looked like. 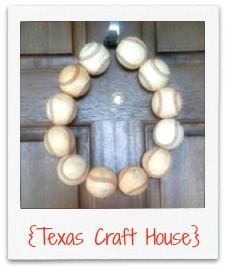 The baseballs were heavy and it took some work to mold and work them into a circle form. The wreath was cute… but it needed something. Then it hit me… it needed – the perfect bow. 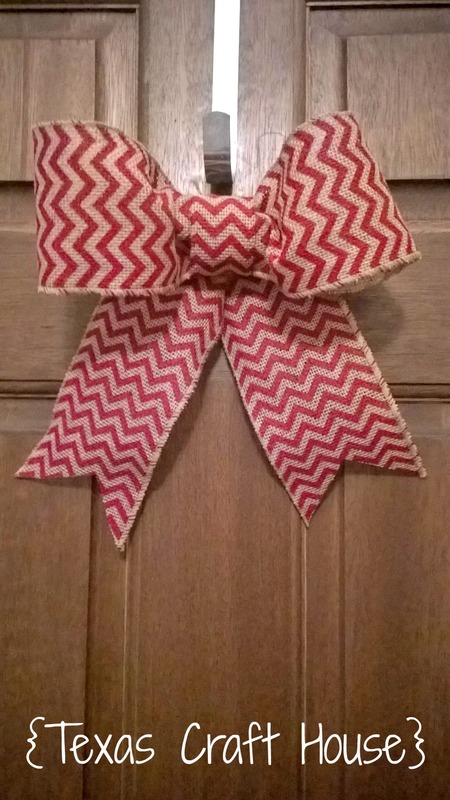 I had some leftover red chevron ribbon from my bow tutorial (click here) and knew it would match. Here is what the wreath looked like after shortening and adding the bow. She loves it and says she gets compliments on it all the time. I wish she had some leftover baseballs for me. 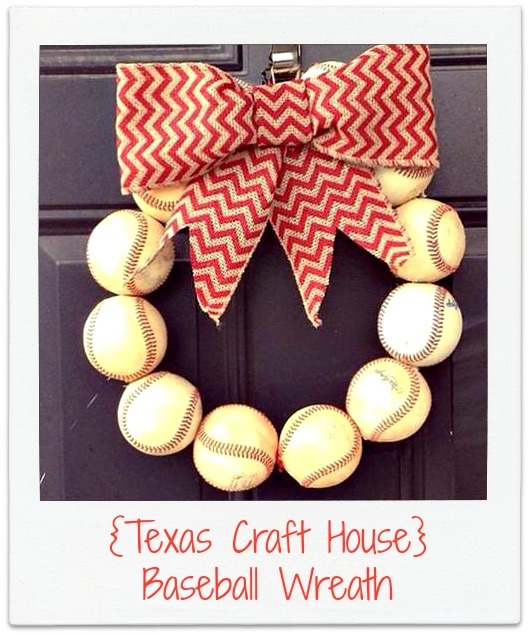 I’ll be searching thrift stores up and down until I find some so I can replicate this wreath. I think the bow just makes it, too! What would you have done with a free bucket of antique baseballs?